New Addidas ADIZERO autographed jerseys are now available for pre-order. 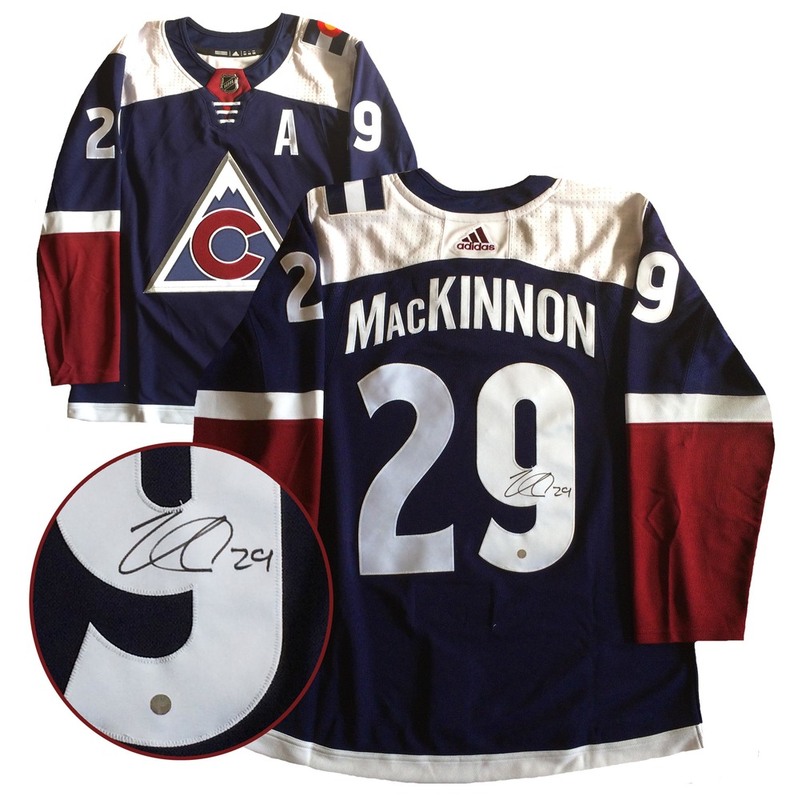 This jersey comes personally autographed by Frameworth Exclusive, Nathan Mackinnon and is accompanied by a Frameworth hologram and certificate of authenticity to ensure the legitimacy of the signature. Made for the most elite hockey players in the world, the ADIZERO sets a new standard in hockey uniform innovation and technology. The Jersey features performance poly fabric and a new lightweight crest and numbering system that make the Jersey 19% lighter than its predecessor. The ADIZERO also offers adidas Clima technology, combining moisture management and air flow circulation for a cooler, more breathable wear. As the authentic NHL jersey, ADIZERO is constructed for performance and durability. Not only is it stronger in the abrasion areas, but it also includes on-ice features like the authentic tie down strap. As a symbol of authenticity, the ADIZERO showcases the Platinum Chrome NHL Shield in the center of the collar. Estimated ship-date for pre-ordered jerseys is 2-4 weeks after purchase. Some exceptions may apply. Email info@frameworth.com for more information regarding ADIZERO autographed jersey pre-orders.